When the school day ends, students at The Shires have the opportunity to participate in a range of extra-curricular activities, such as mending bicycles, nail art, video games, swimming and horse-riding. The Shires is committed to encouraging students to maintain a healthy lifestyle and so there is a strong emphasis on physical activity during the weekends and evenings. For the students at The Shires there are significant advantages to living and going to school in one location. The effectiveness of having the same management and staff teams bringing their skills together to support students throughout their waking day is key to the students making progress. Care staff and teaching staff work very closely together all the time and share staff training. Staff employ the same, consistent approach when implementing new learning and the development of personal skills, and our therapists and psychologist work closely with both care and education staff to ensure a cohesive approach. Communication between the home and school is seamless, and staff meet on a daily basis to talk about the students and work together on care plans, education plans and therapeutic interventions to ensure consistency. The Shires has high numbers of care staff to meet the needs of all students and to ensure their wellbeing and health and safety. There is always one-to-one support and often two-to-one support for each student plus an extra member of staff to go where needed. Frequently, staffing levels are higher than this so that students can enjoy taking part in a wide variety of challenging activities, particularly off site. At night, there are at least four waking night staff on shift every night. Waking night staff are supported by an emergency call-out system (ECOS) whereby staff members living nearby can easily be called in for support during the night if necessary. To complement the skills of the core staff team, The Shires draws on a wide range of additional skills from a team of therapists and consultants. The Shires consultant clinical psychologist works on developing individual programmes with students and helping staff to develop meaningful behaviour and care programmes that advance the students’ skills, self-knowledge and independence. Students are supported by a well-qualified speech and language therapist and occupational therapist who work with the core staff in developing individual programmes to develop and extend the students’ skills. The therapists work with students and staff before and after school to ensure that students are receiving consistent and continuous therapeutic input. The Shires’ music therapist works with each student on a weekly basis. The students really enjoy their weekly sessions and benefit greatly from the freedom of expression and social interaction they are able to access through music. Students at The Shires are very well looked after and the high staffing levels and comprehensive ongoing staff training ensure the welfare, health and safety of students at all times. The building is secure and students are kept safe in the grounds. Health and safety of all who live and work in The Shires is a priority. Most staff are fully qualified first aiders and training is ongoing. Staff are fully trained in fire safety and evacuation procedures and fire drills are regularly carried out with students and staff together. The school employs experienced cooks who plan and prepare individual menus to meet students’ dietary needs, and sometimes students help to prepare their own meals in the evening to further develop their skills and to foster independence. All staff undertake food hygiene training. Staff support students in arranging and attending medical appointments. Staff maintain very close contact with families relating to all medical and health issues of the students. Students at The Shires need constant support, on at least a one-to-one basis, to make the most of their leisure time whether it be completing a jig-saw, making a snack or building sandcastles on the beach. All staff are endlessly patient and always ready to initiate and involve the students in something active or engaging. The Shires offers a vast range of activities within and beyond the buildings and grounds with students going somewhere different virtually every day. 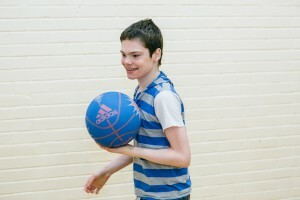 As well as visits to the seaside, adventure playgrounds, zoos, lakes and woods, safari parks, museums and exhibitions, students go 10-pin bowling, horse-riding, on trains and buses and enjoy taking part in more activities than many of their more able peers. Full use is made of the school’s 5 minibuses to ensure that students can enjoy a wide range of off-site activities. Students sometimes go out as a whole school enjoying the social aspect of outings. At other time students may enjoy an activity on their own, or with one or two others such as shopping, or just going for a ride. The management and staff are committed to making sure that all of the students enjoy a great quality of life. Provision is geared towards meeting the students’ actual needs whatever they are. Students at The Shires are often unable to express their views in conventional ways and staff try at every step to see things from the students’ perspective and to enable them to make as many choices and decisions as they can. There are two day time staff teams and a night staff team, each headed up by a team manager. Regular, weekly phone calls are made to all parents about their children and any information about medical or health issues is communicated quickly. Parents are welcome to phone for information and updates at any time of the day or night. The staff work to support the students and their families and adapt to their needs and wishes rather than the other way around. The staff have a very flexible approach and they respond well to suggestions that involve doing things differently where this benefits the students. All of the students at The Shires need a lot of support in their day to day living and staff work hard to manage this in a way that allows all students high levels of privacy and dignity. Students who want to attend church are accompanied by staff, and students’ cultural needs are well catered for. The school works closely in partnership with parents to ensure that the individual needs of all students are fully met. The school has an open door policy and parents are encouraged to maintain high levels of contact with their children, the care staff and the teaching staff. Parents are welcome to visit the school on an informal basis at times that are mutually convenient. These visits can be arranged by telephone or discussion with the staff. There are no restrictions on visiting and parents are always welcome. Local accommodation can be arranged for parents who require overnight stays. The school holds a number of events that students’ families and friends are invited to such as the annual Christmas concert and the end of year Awards Ceremony. Parents are kept fully informed about events and changes to the school and are invited to become involved in the life of the school through membership of the ECO schools committee, and involvement in the development of the school gardens for example. Parents join staff training events where the course is relevant or of interest to them.